Time of Origin: Fought the Eleventh Doctor in the twenty-fourth century around the planet Golrandonvar; was defeated by the Fourth nine centuries later. 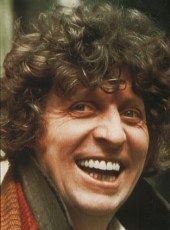 Appearances: "The Roots of Evil"
Doctors: Fourth Doctor; unrecorded encounter with the Eleventh Doctor. Companions: Leela; unspecified if the Eleventh Doctor had any companions when he faced Sprawn. 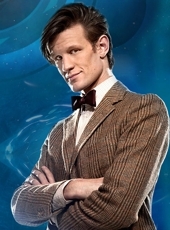 History: When a man like The Doctor travels in time, it is inevitable that he will face some enemies out-of-sequence, with Director Sprawn being a distinctive example of this, having waited over nine centuries for revenge on the Eleventh Doctor only to be defeated by the Fourth Doctor. Originally the head of a project to establish a human colony on a distant world, Sprawn clashed with The Doctor when his proposed terraforming event of the planet Golrandonvar threatened the local population, known as the Thara, who would be unable to breathe the new atmosphere if the terraforming was completed due to their reliance on helium. With the aid of the Eleventh Doctor, the Thara banished the colonists from Golrandonvar, forcing them to retreat to the Heligan Structure, a vast tree that was literally grown in space as part of terraform projects, whole forests of Heligans hanging in the skies to create an atmosphere suitable for humans within a ball that extended outwards from the central root. Refusing to allow The Doctor victory - to the point that he wouldn't let them settle on a new world even if the Eleventh Doctor apparently helped relocate the Heligan to a different planet - Sprawn literally merged with the tree's roots, connecting himself to the roots along with a series of computers, in order to ensure that the population maintained a vow of vengeance against the Time Lord, manipulating records to suggest that the Thara were vicious, primitive swamp-dwellers and preventing the tree progressing; even as most of the colonists had come to regard The Doctor as the colony's boogeyman rather than a real person, a select few remained dedicated to their original 'goal'. As a result, the civilisation maintained the position of Justiciar throughout the centuries as the person responsible for passing judgement on The Doctor despite the lack of any other responsibilities being allocated to the position, as well as another position of Chairman being created as the one who would oversee The Doctor's punishment. Even the names of the colonists were chosen to ensure that they remembered their vow of vengeance, such as one boy being named 'Vengeance-Will-Be-Ours-When-The-Doctor-Dies-A-Thousand-Agonising-Deaths' (Ven for short) or a girl being called 'Agony-Without-End-Shall-Be-The-Doctor's-Punishment' (Aggie for short). Director Sprawn's goal to lure in The Doctor was eventually accomplished, but his plan simultaneously backfired as he lured in the Fourth Doctor rather than the Eleventh Doctor at a later point in his life, the Fourth wanting to give his companion Leela a chance to see trees once again and feeling that the Heligan Structure represented an interesting anomaly due to the colonists staying on the tree rather than leaving it. Despite being naturally confused at Ven immediately denouncing him as evil, The Doctor was quickly able to create confusion among the colonists when he acted to save Ven as the tree created branches to trap the TARDIS at the cost of destabilising the path that Ven was standing on, as well as Leela's passionate defence of him as a good man. Despite the colonists all perceiving him as a villain, The Doctor was immediately curious at the Heligan's carnivorous nature, recognising that something that tamped with its genetic structure, but was forced to go along with the colonists to learn more about the situation. Regardless of the colonists' doubts about The Doctor in the face of Leela's defence of him and him saving Ven's life, Chairman Ratisbon was determined to fulfil the vow of vengeance against The Doctor, taking him away as Leela and the colonists were attacked by moving plants, forcing the colonists to defer to Leela's leadership due to their own confusion about what to do. As Chairman Ratisbon attempted to execute The Doctor - having designed 'the Chair' as a means of reviving faith in the tales of The Doctor, the Chair consisting of a chair with various spikes and drills aimed at it -, The Doctor was able to escape when the room containing the Chair began to attack the colonists, identifying the plans as Heligan spores modified from their original function of simply spreading seeds. As the Heligan began to attack even the colonists to ensure that The Doctor was destroyed, The Doctor witnessed a sculpture of The Doctor that had apparently punished the colonists in the central Hall of Justice, deducing the man's identity as one of his future selves - requiring him to warn the colonists that killing him now before he could sentence them to the Heligan would actually destroy them all due to the paradox - but still convinced that he wasn't getting the full story. Realising that Sprawn couldn't rely on the colonists staying angry at him for all these years, The Doctor deduced that Sprawn was responsible for the tree's current uprising, prompting Ven to take him to the tree's 'brain' in the root-ball core, where The Doctor soon found Sprawn merged with the tree's roots. Confronting the director in person, The Doctor immediately denounced the stories he had been hearing from the colonists, noting that, while he doubted the wisdom of his future self's choice of attire in the form of his bow tie, he would never believe that he would banish an entire colony without provocation. When Sprawn's angry rants revealed that he had been attempting to terraform a world with a pre-existing native population, The Doctor immediately understood his future self's motivations, denouncing Sprawn's claims that the colonists were scraping by a wretched existence by complimenting their drive to survive while Sprawn had prevented the Heligan spreading to keep them focused on revenge. As the spores came at The Doctor, The Doctor used the computers to revert them to their original programming to spread seeds and purge the tree of parasites, prompting them to attack Sprawn. Although The Doctor admired what Sprawn had done in merging with the tree as a scientific achievement, he had no sympathy for the man's focus on revenge above all else, leaving him thoroughly satisfied as the spore began to expand outwards once again, beginning a new terraforming sequence that would render the world below them habitable by humans within a decade.